Yinjia Gong was born in 1983 in Sichuan, China. His love for music is based in the family, his grandfather worked at the Peking opera. After first studying popular music at the conservatory in Sichuan, Yinjia Gong soon got more interested in western opera. Especially the Bel Canto opera caught his attention and made it clear to him that he needed to move to Europe to pursue a more specific education. 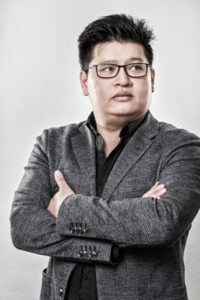 Mainly because of his grand admiration for the Swedish tenor legends Jussi Björling and Nicolai Gedda, Yinjia Gong moved to Sweden in 2008 and pursued his opera studies at the Malmo Academy of Music followed by the University College of opera in Stockholm, where he receives his Masters Degree in spring 2012. Due to his profound enthrallment with Italian opera, Yinjia Gong got several opportunities to work with operas from Verdi and Puccini. At his first master year, he sang and performed the role of Macduff in Verdi’s Macbeth, and Gustavo in excerpts of “Un ballo in maschera”. Last spring he performed as the duke in “Rigoletto” at the Royal Opera House in Stockholm, with Gregor Bühl conducting. At the Jussi Björling Gala at the Royal Opera in Stockholm in September 2011, he sang “Nessun dorma” with Stefan Solyom conducting. In his final year of studies, Yinjia Gong worked with parts such as Rudolfo in “La Bohème” and Alfredo in “La Traviata”, and his final role was Luigi in Puccini’s “Il tabarro” with performances in Gävle Gasklockan and at the Royal Opera in Stockholm and Brad Cohen conducting. Last fall Yinjia Gong made his official opera debut as Riccardo in “Un ballo in maschera” at Stockholm’s Folkoperan.